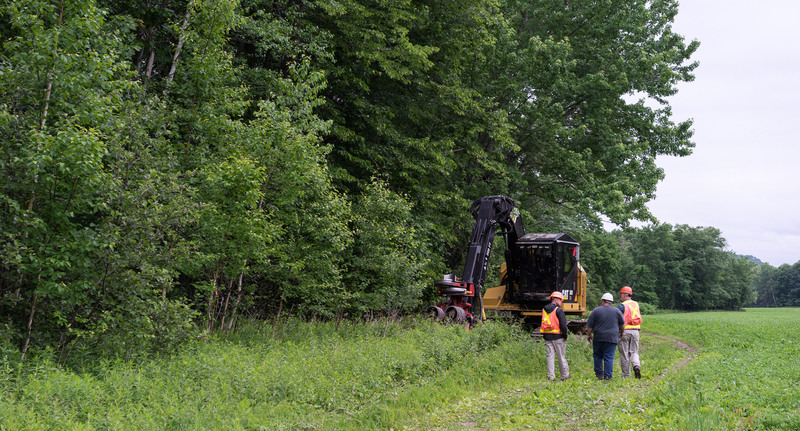 Sappi North America's (SNA) Maine Forestry Program is a team of trained forest professionals dedicated to working with woodlot owners in the State of Maine. Our SNA Maine Forestry Program's team of foresters and professionals are here to help you, the landowner, reach your objectives for your woodland. Whether your management goals are to improve forest health, wildlife, recreation, aesthetics, generate revenue, or all of the above, we have a team of professionals to work with you to accomplish your goals. We have an extensive network of environmental and marketing resources to help you reach your goals. Reach a Sappi Forestry representative. Learn how the Sappi Forestry team can help you achieve your goals. Factors to be taken into consideration when evaluating what your timber is worth. Forest products (wood and paper) can be certified by a number of third party standards. Photos of Maine Forestry operations. State of Maine forestry regulations and laws. Learn how our professional forestry staff can help you cut your wood. List of online resources helpful to landowners. Community outreach events conducted by the Maine Forestry group. Glossary of useful forestry terms and other descriptions. Meet the members of the Sappi Wood Procurement team. Four things really please me about Sappi's harvest of my woodlot: 1) the foresters spent a lot of time with me, including walking the lot 3 times prior to the harvest, kept me informed throughout the harvest, and met with me after the harvest to review the project and make sure I was satisfied; 2) the loggers followed our plan exactly and did a superb job - and they were always happy to talk with me when I stopped by to monitor the project - and they cut 10 cords of firewood for my personal use; 3) the project was completed in all respects exactly as planned and promised; 4) the prices I received were very fair and my money was received promptly after delivery of the wood to the mills.